If there are two things I associate with my good pal and former bridesmaid Nic, it’s booze and pizza. Having known her since freshers week, approximately 2749 years ago, we bonded over our love for rubbish boys, getting legless and eating far too much. A lot has changed since our first encounter in 2003 (we actually hated each other on first sight initially, god love teenagers) including our extensive use of hair dye, but we’ve managed to remain pals. This may well be down to the fact that we love melted cheese more than.. well, most things, to be honest. 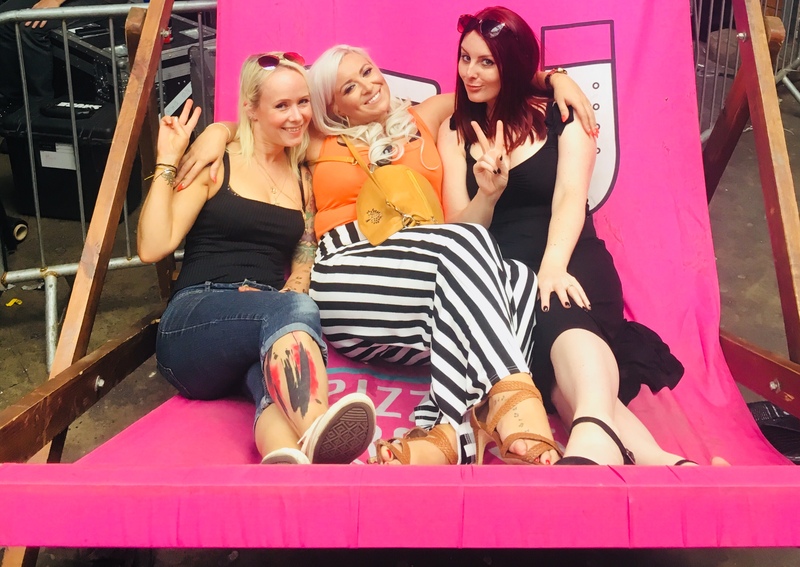 So when Nic decided to gather a group of friends to attend this year’s Pizza and Prosecco Festival in Digbeth I was proud to see her choose to celebrate her birthday in such an ‘on brand’ fashion. Arriving for the brunch sitting (there’s also an evening one) the multipurpose warehouse had been transformed, already bustling with enough pairs of denim hot pants and crop tops to dress a Pussycat Doll’s tribute act. 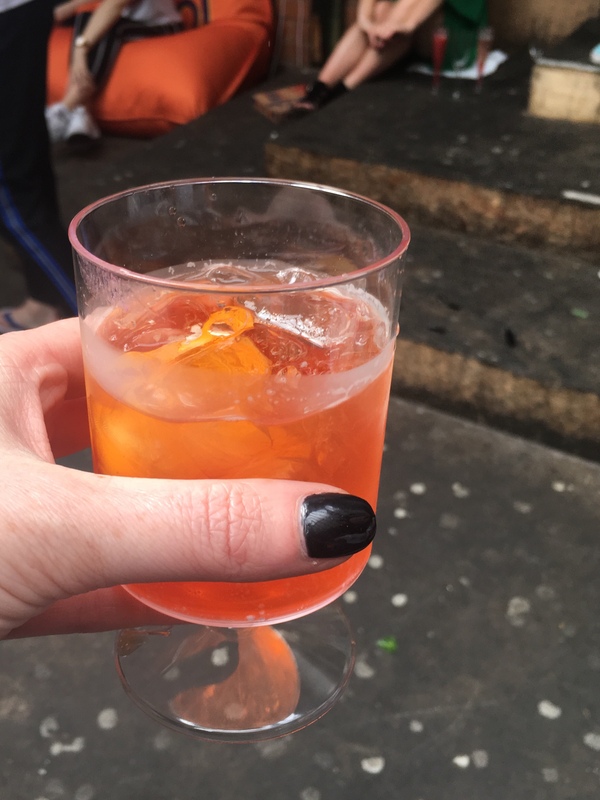 The £18 ticket includes entry, an Aperol Spritz on arrival, a “prosecco bible” (Jesus would be thrilled) to help you navigate and plan your day, and a slice of pizza to get your taste buds going. 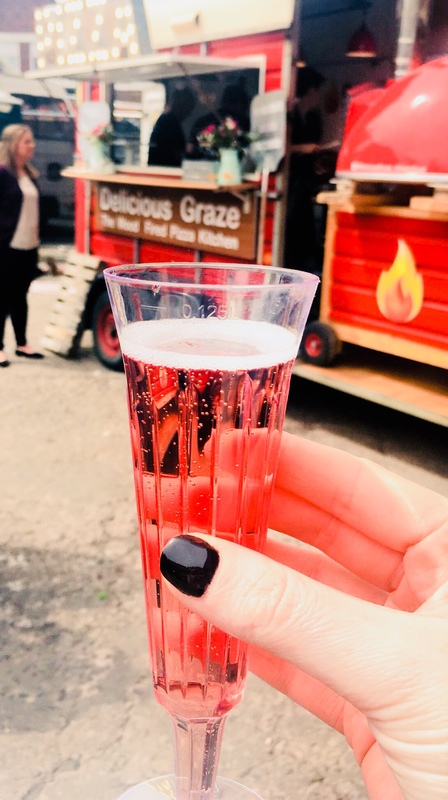 As well as 20 types of prosecco plus fizz themed cocktails to try, the venue was packed with rustic wood fired pizzas and local street food traders. With the sun shining we spent most of the session in the yard rather than inside. This also happened to be where all the pizzas were, happy days. The initial free piece we got was tiny, so most of us tucked in to something more substantial soon after. 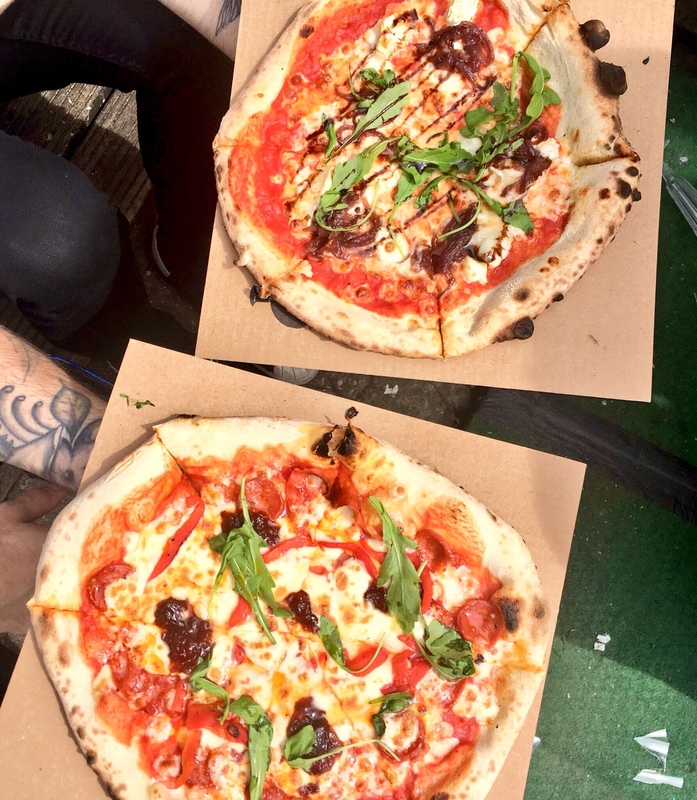 Popular choices included goats cheese and red onion chutney, and chorizo with chilli sauce. These were all washed down with plenty of fizz, including a nice extra dry tipple called Galanti. The only thing missing from Nic’s birthday celebrations was a glittery unicorn and The Backstreet Boys back catalogue on repeat, to be honest, but I’m pretty sure she enjoyed the event nonetheless. 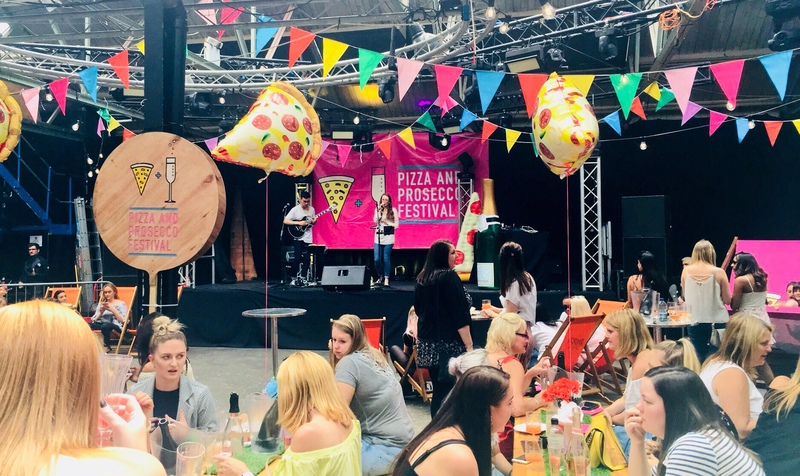 Pizza and Prosecco Festival is a fun pop up (enjoyed mainly by women judging by the clientele) and ideal if you can rally a group of mates to make it a party; there’s plenty of live music and DJs to thrash about to. 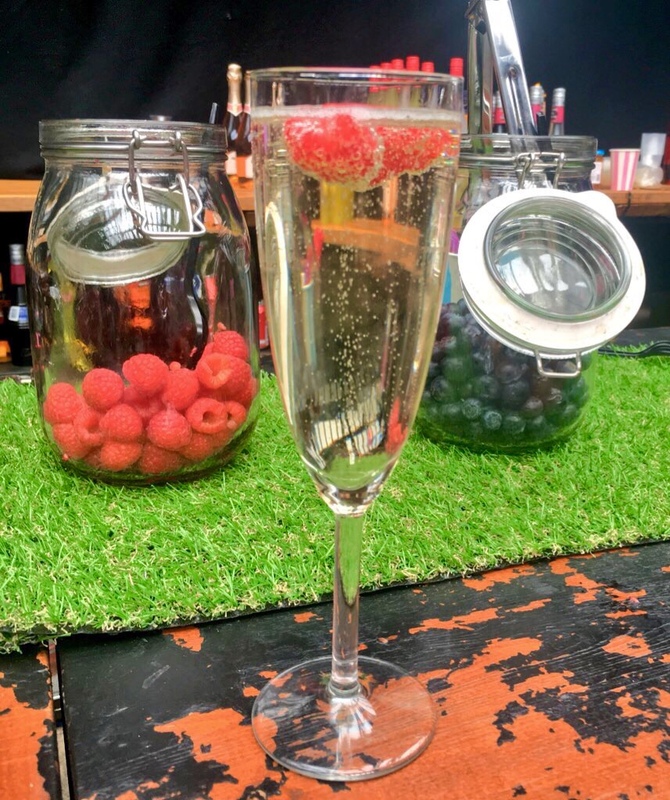 It’s obviously not for everyone – and the ticket price is steep for what you actually get included – but I don’t doubt it’ll be back next year, and there’s other venues across the Midlands running the same event this summer. 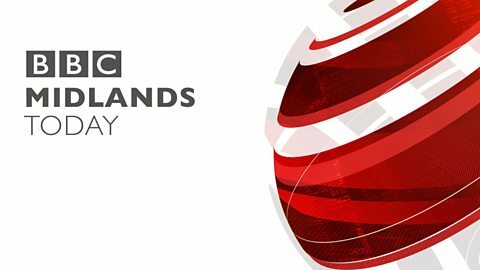 Heads up – the tickets are cheaper the earlier you book. 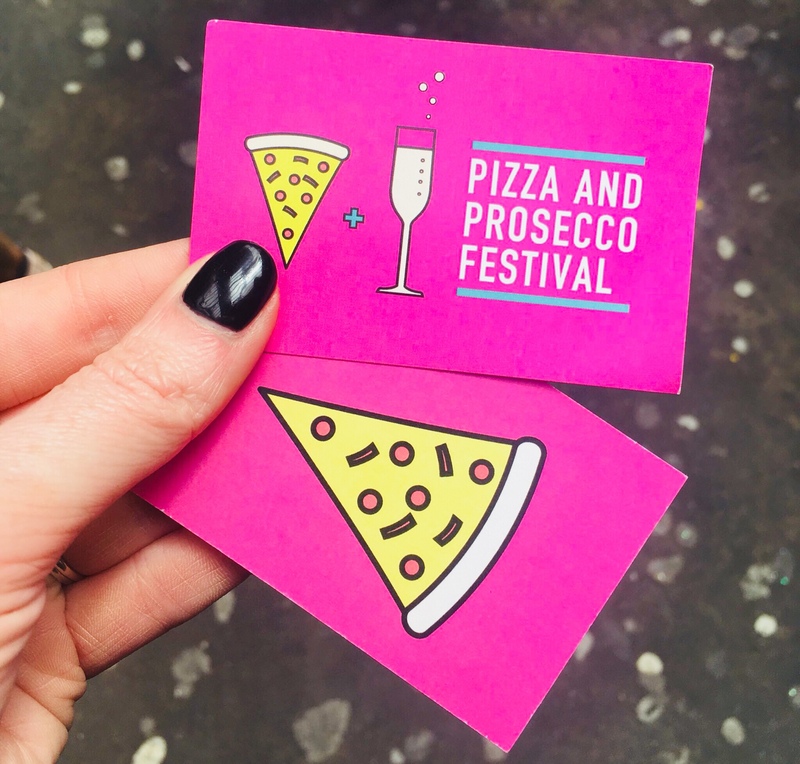 Disclosure: We paid in full for the Pizza and Prosecco Festival tickets and all food and drink consumed. Fat Casley forever!